Recently it was announced that AMZN entered into an agreement with CMCSA for the sale of cable, internet, and phone services. This is a clear win for Comcast. After all, Amazon has proven its skills with being able to sell just about anything. In the 1990s, AMZN started as a website that did nothing more than sell digital books. Years later, the company became the world’s leading online retail website. Now, AMZN is one of the largest companies in the world, and this growth comes from its ability to sell products and services quickly online. So, what’s the deal for Amazon? Well, AMZN gets quite a bit out of this deal. In fact, the company is earning its share of each and every sale made using their online retail platform. While AMZN hasn’t made the amount it earns public, Affiliate programs are very common and tend to pay a decent percentage of sale. So, in this case, lets say that Amazon is only earning about 10% of each sale. Believe it or not, that adds up to a ton of money. The truth is that on average, AMZN is selling 2 year contracts with price tags of $100 per month. So, at $10 per month on each customer it brings to Comcast, Amazon is earning about $240 through the life of the contract. That’s a good chunk of money considering the massive amount of people that are likely to sign up for services through AMZN. Another big question that investors have with regard to the deal is “What does AMZN have to offer that makes the deal unique?” If Comcast services are purchased through Amazon, customers are guaranteed dedicated customer support, and that’s something that Amazon is incredibly well known for. As investors, we’ve learned that any time there is positive news released with regard to a publicly traded company, we can expect to see gains in the value of the stock associated with that company. 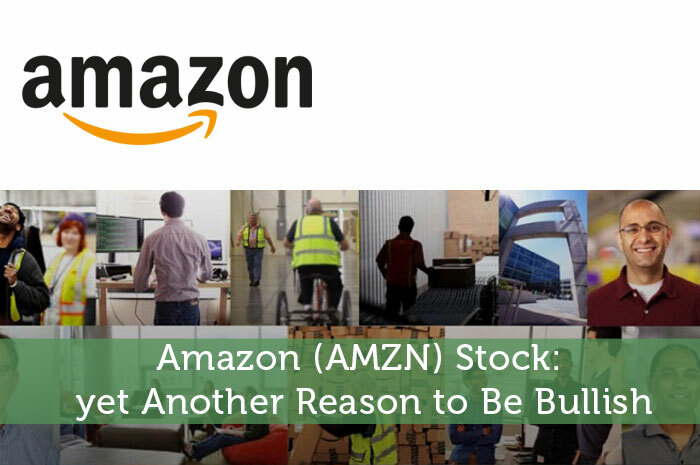 Considering the new partnership, there’s plenty of reason to see positivity in AMZN. So naturally, we’re seeing gains on the stock. Currently (11:28), the stock is trading at $565.01 per share after a gain of $4.53 per share or 0.81% thus far today. Moving forward, I have an overwhelmingly bullish opinion of what we can expect to see from AMZN. First and foremost, its relationship with Comcast is likely to drive a massive amount of revenue for the company. However, my bullish opinion on the stock goes far beyond what it’s doing with the cable provider. The truth is, AMZN has done quite a bit for itself over the past year or so. I’ve been incredibly impressed with the movements we’ve seen in Prime. On top of Prime, AMZN is working on offering groceries through its online platform to compete with the likes of Walmart. Ultimately, if the company continues moving forward how we’ve seen, and there’s no reason to expect it not to, we’re going to see nothing but overwhelmingly positive movement out of the value of the stock. Where do you think AMZN is headed moving forward and why? Let us know your opinion in the comments below! Yes its true, Amazon has reached to a new level in e-commerce business and expanding day by day. Looking over the current scenario, Amazon will soon expand by selling almost anything over the Web.